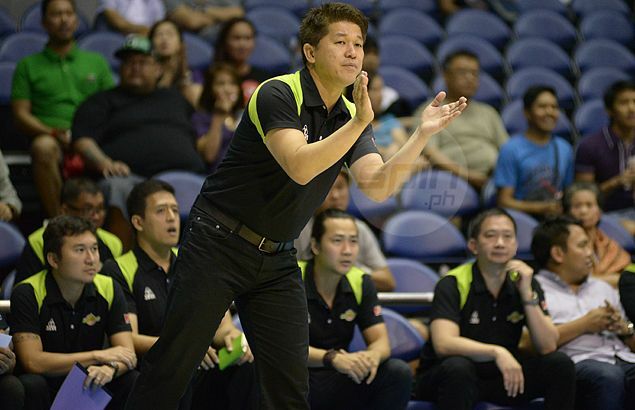 GLOBALPORT finally made a long-anticipated coaching change, bringing up Erick Gonzales to replace Pido Jarencio as head coach while bringing in Franz Pumaren as a consultant, sources told SPIN.ph on Sunday. Jarencio has long been reported to be on the way out after he was replaced by assistant manager Johnedel Cardel in GlobalPort's final two games of the PBA Commissioner's Cup, but owner Mikee Romero only made the changes after the national elections. Romero is set to get a partylist seat in Congress through 1-Pacman. According to sources, Jarencio was absent from the 1-Pacman victory party held at the Blackwood Bar in Greenfield District in Mandaluyong on Saturday. Romero made the changes the following day. Gonzales, who at one point called the shots in a virtual rigodon of coaches at GlobalPort, has also recruited former Talk 'N Text big man Gilbert Lao to join his coaching staff, the source added. Pumaren was one of the candidates for the GlobalPort job back in 2014 but GlobalPort decided to stick to Jarencio, who is close to GlobalPort team manager Bonnie Tan and SMC sports director Alfrancis Chua. The multi-titled coach now settles into a consultant role since league rules bar coaches from holding head-coaching jobs in other major leagues. Pumaren recently accepted the head-coaching job at Adamson.